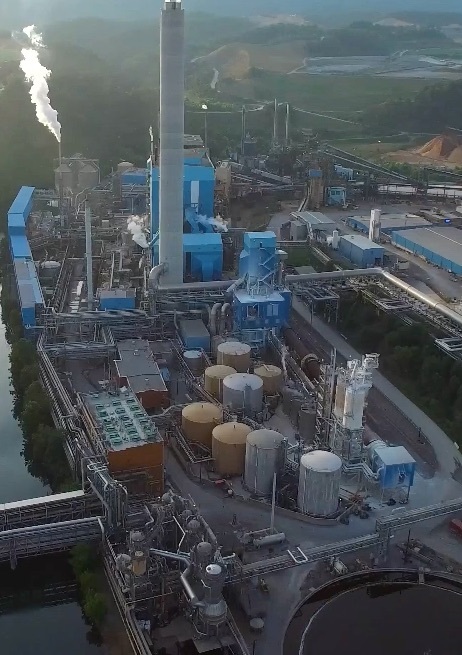 For economic and environmental reasons, pulp mills employ chemical recovery processes to reclaim spent cooking chemicals from the pulping process. At kraft and soda pulp mills, spent cooking liquor (referred to as weak black liquor), from the brown stock washers is routed to the chemical recovery area. 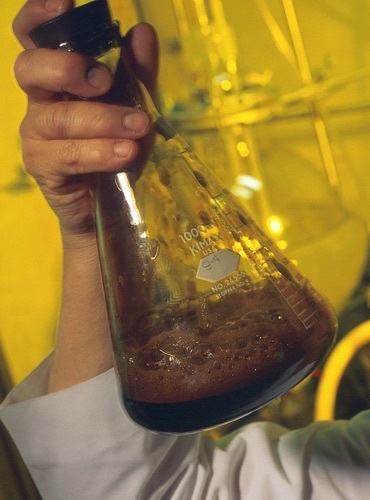 The chemical recovery process involves concentrating weak black liquor, combusting organic compounds, reducing inorganic compounds, and reconstituting the cooking liquor. is an important part of chemical recovery. The strong black liquor from the multiple-effect evaporator system is either oxidized in the black liquor oxidation system, or routed directly to a non-direct contact evaporator (also called a concentrator). Oxidation of the black liquor prior to evaporation in a direct contact evaporator reduces emissions of odorous total reduced sulfur compounds. The solids content of the black liquor following the final evaporator/ concentrator typically averages 65 to 68 percent. The soda chemical recovery process is similar to the kraft process, except that the soda process does not require black liquor oxidation systems, since it is a non-sulfur process that does not result in total reduced sulfur emissions. The concentrated black liquor is then sprayed into the recovery furnace, where organic compounds are combusted, and the Na2SO4 is reduced to Na2S. 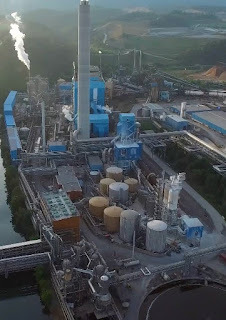 The black liquor burned in the recovery furnace has a high energy content which is recovered as steam for process requirements, such as cooking wood chips, heating and evaporating black liquor, preheating combustion air, and drying the pulp or paper products. The process steam from the recovery furnace is often supplemented with fossil fuel-fired and/or wood-fired power boilers. Particulate matter (primarily Na2SO4) exiting the furnace with the hot flue gases is collected in an electrostatic precipitator and added to the black liquor to be fired in the recovery furnace. Refractometer for black liquor measurement. The process of chemical recovery must be carefully managed. Process variables such as temperature, pressure, flow and level require robust instruments to ensure safety and accuracy. The measurement of black liquor solids content has relied upon the use of industrial inline refractometers for many decades. The Electron Machine Corporation, with it's ruggedly designed MPR E-Scan, has established itself as the leader in this process. 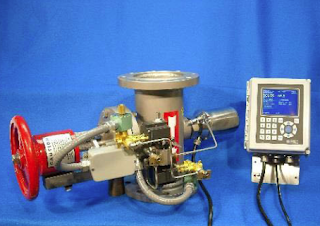 Incorporating a ruggedly designed sensing head with a 2205 S/S prism holder, sapphire prism, LED light source, and very sturdy electronics, the Electron Machine device delivers on it's claim as the "world's most rugged process refractometer". Since the refractometer is specifically designed for the very harsh environment of a pulp mill, it promises years of low-maintenance and very reliable operation. For more information about inline process refractometers for black liquor processes visit this link or contact Electron Machine at 352-669-3101.